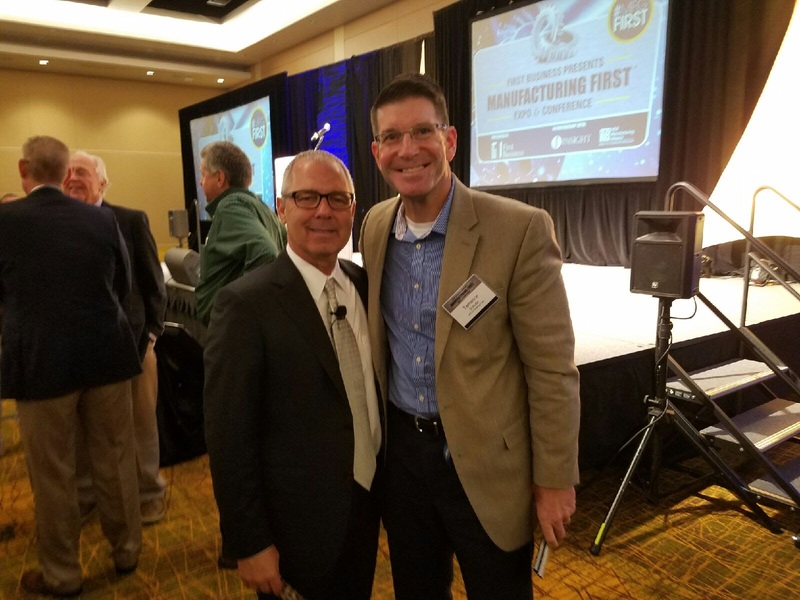 As Manufacturing Month continues in Wisconsin, EFCO Finishing has had the opportunity to attend numerous events across the state, re-energizing us as we start the final quarter of the year. 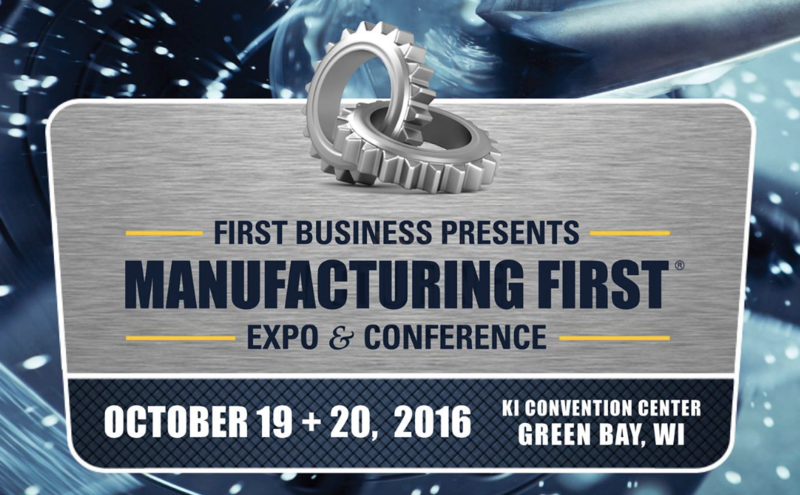 “The Evolution of Leadership” was the topic presented by Mark King last Thursday up in Green Bay at the First Business Bank Manufacturing First Expo. Mark was raised in Green Bay and graduated from the University of Wisconsin-Green Bay. Upon graduation in 1980, he joined TaylorMade, then a start up, and he was elevated to president in 1999 and CEO in 2003. Under Mark’s leadership, they became the leading and most profitable company in the world. In 2014, Mark was appointed President of adidas Group North America where he is in charge of all adidas and Reebok operations in the North American market. If we continue to operate as we did in the past, it is going to be very difficult to be successful in the future. Disruption is part of today’s world, so who is going to disrupt your business? You or your competition? Many leaders in today’s world are afraid or don’t know how to make decisions. A great leader creates a positive environment and gets his people thinking about the future. Some other takeaways include that employers have a responsibility to ask their employees to think, but then the employer has to listen! Today’s really great employees are passionate, creative, and show initiative. King also mentioned “speed” wins along with flexibility. EFCO Finishing was proud to partner with E. K. Machine Co. and polish the award presented Tuesday October 18 to Harley-Davidson for producing the “Coolest Thing Made in Wisconsin”, a contest sponsored by the Wisconsin Manufacturers & Commerce, to promote manufacturing in the state during the month of October, a month dedicated to bringing attention to the state’s manufacturing industry. 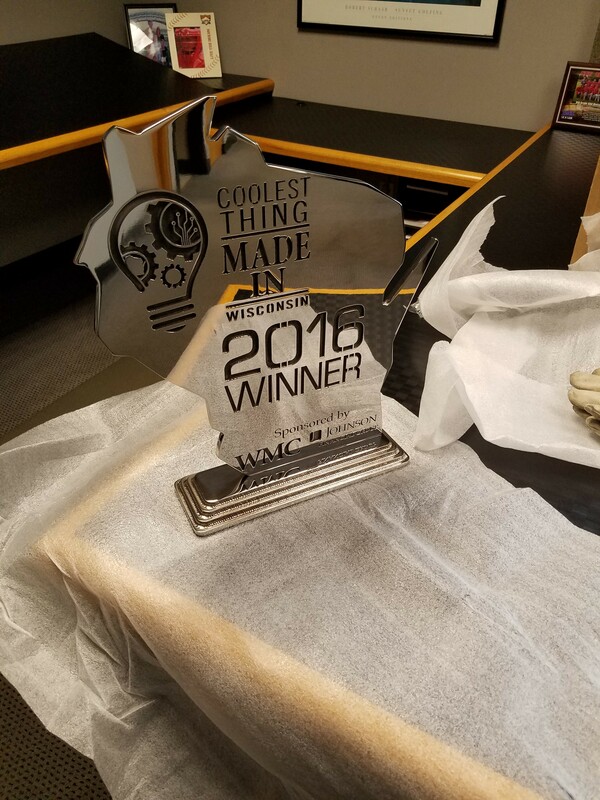 E. K. Machine Company, Fall River, WI, one of our customers, produced the award for the inaugural event, and EFCO put the “finishing touches” on the piece, polishing it to a mirror bright finish, and making it a truly desirable piece for any company’s trophy case. Mirror bright polishing is just one of many finishes applied by EFCO, and is the most time consuming, or labor intensive. It involves using a series of different belts on a lathe, starting with the most coarse, and progressively getting finer, putting the finishing touches on with a buff and color technique. 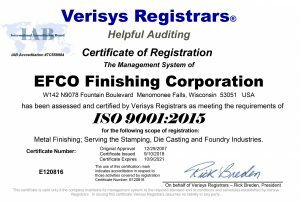 Other polishing options include matte or satin finishes, brush finishes, sanitary finishes, food grade polishing, and more. In addition to hand polishing, EFCO has the ability to apply brush, or directional, finishes to flat pieces with their three machines manufactured by Timesaver. These machines range in width from 12” to 52” in width. A wide variety of different alloys are able to be run through, ranging from steel to aluminum to stainless steel, and more. 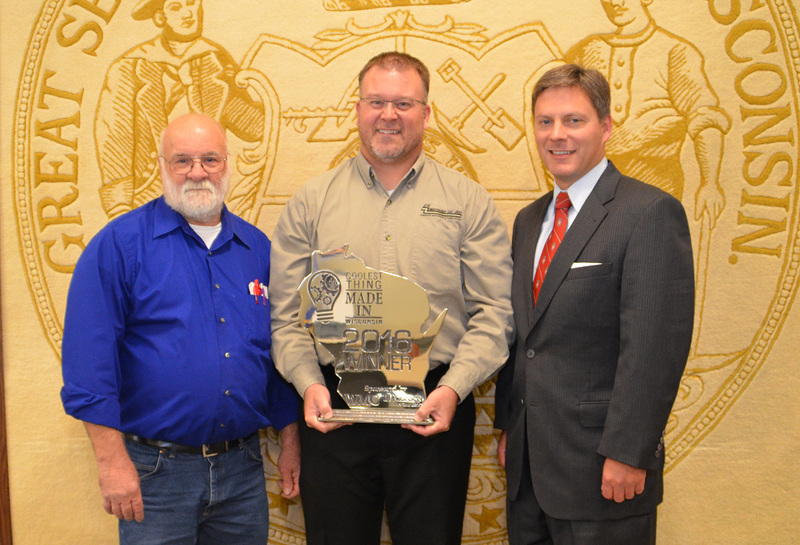 EFCO Metal Finishing has a busy month ahead, as it’s their favorite of the year: Manufacturing Month! 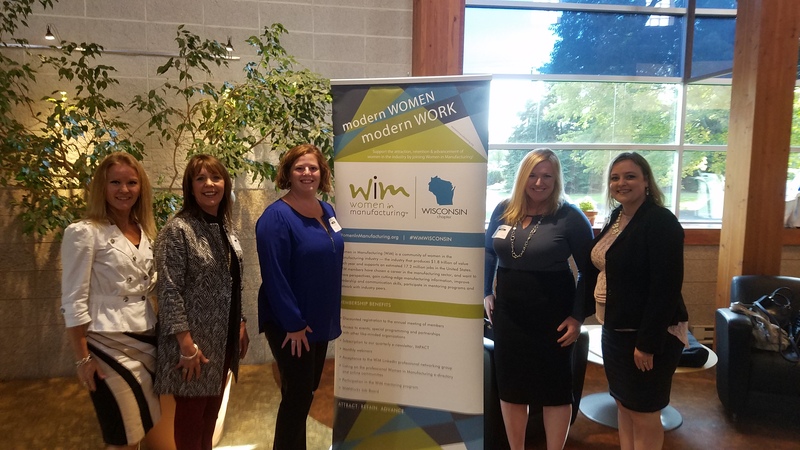 April kicked off the busy month Tuesday with Women in Manufacturing Wisconsin’s “Tour & Taste” Event. 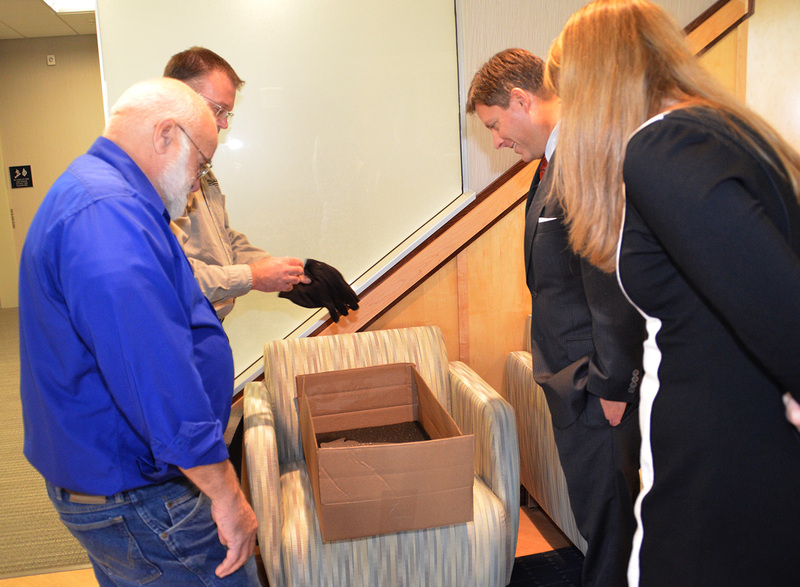 The group toured Sussex IM and closed the event with food at Bistro Z. Sussex IM focuses on custom injection plastic molded parts, but their offering and expertise expands beyond that – their manufacturing process was the impressive main event. Watch for another announcement for another great WIM Wisconsin Event coming soon!